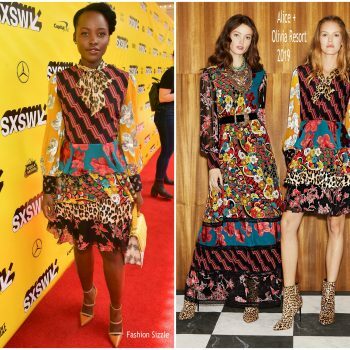 Lupita Nyong’o was in attendance to promote her movie Little Monstersat the 2019 SXSW Festival on Saturday afternoon (March 9) at the Paramount Theatre in Austin, Texas. 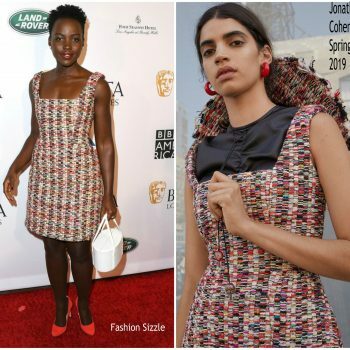 She wore a printed Alice + Olivia’s Resort 2019 dress. 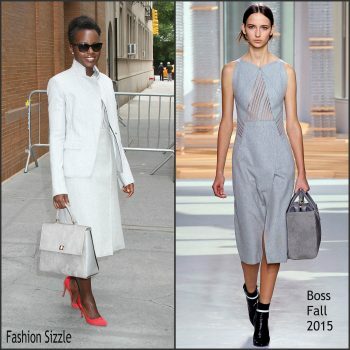 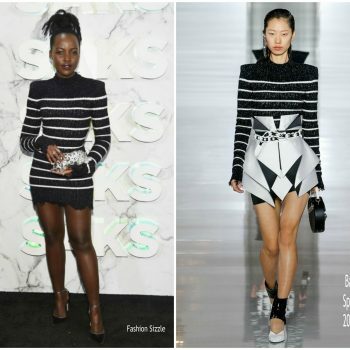 Lupita Nyong’o attended Saks celebrated its new main floor on Thursday (February 7) in New York City She wore a black and white Balmain Spring 2019 mini dress styled with a Judith Leiber clutch. 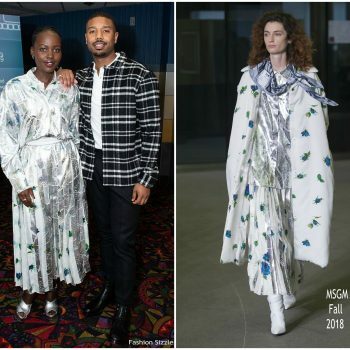 upita Nyong’o along with Michael B. Jordan attended the Variety ‘Black Panther' Screening in New York. 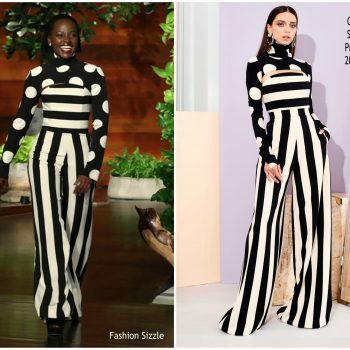 Lupita wore a MSGM Fall 2018 design . 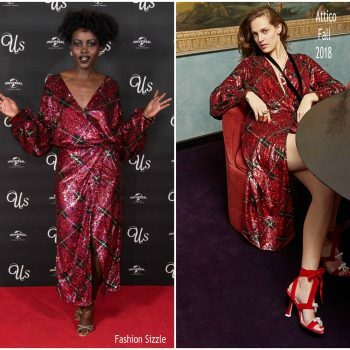 Lupita Nyong'o attended the 2019 BAFTA Los Angeles Tea Party at the Four Seasons Hotel in LA today (December 5th . 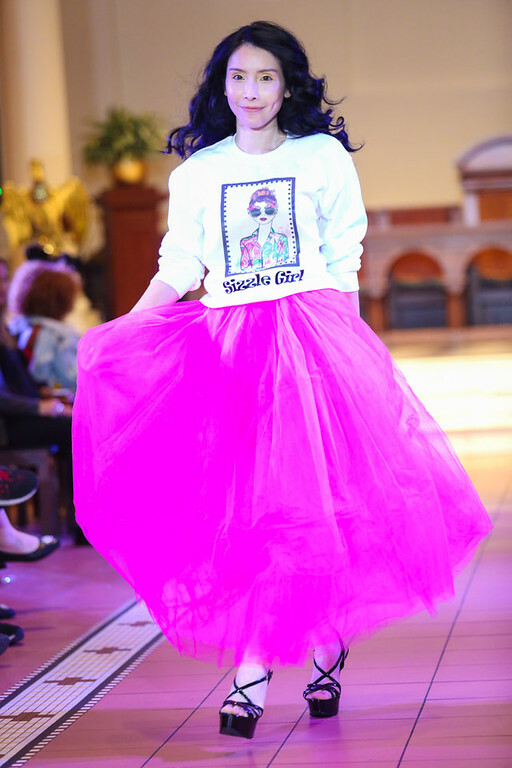 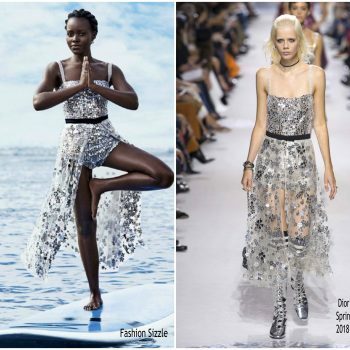 She wore a Jonathan Cohen Spring 2019 design. 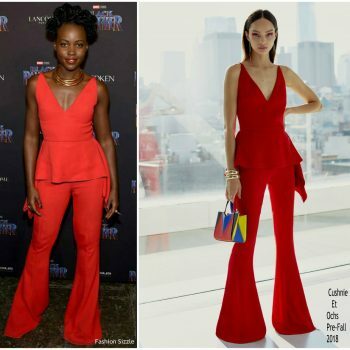 Lupita Nyong'o attends The Hollywood Reporter's Power 100 Women In Entertainment at Milk Studios on December 5, 2018 in Los Angeles, California. 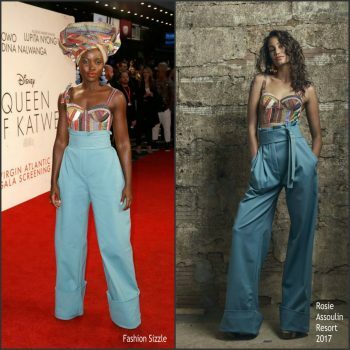 She wore a Jean Paul Gaultier Spring 2018 Haute Couture suit. 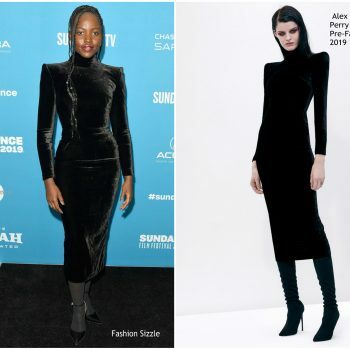 Lupita Nyong’o was in attendance at the 2018 Governors Awards held in Hollywood, California on Sunday (November 18). 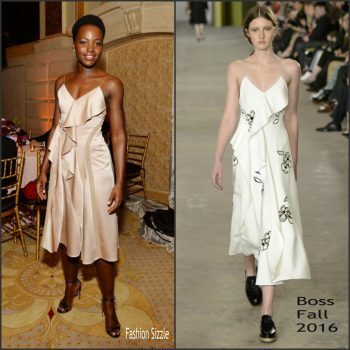 She wore a white white Tom Ford Spring 2019 dress. 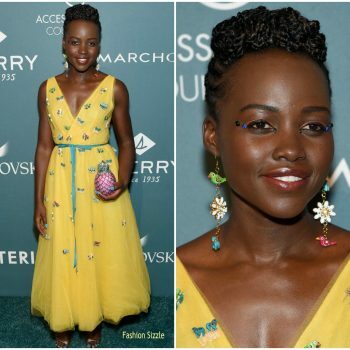 Lupita Nyong'o was in attendance at the 2018 Governors Awards on Sunday night (November 18) at the Ray Dolby Ballroom at Hollywood & Highland Center in Hollywood. 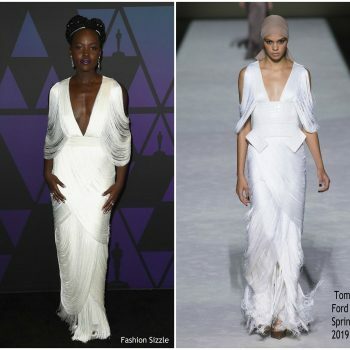 She wore a white Tom Ford Spring 2019 gown. 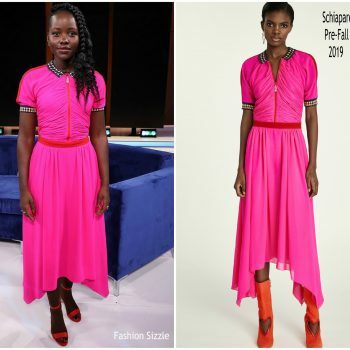 Lupita Nyong’o made a guest appearance at the SiriusXM Studios on Tuesday (May 15) to promote ‘Black Panther’ on DVD. 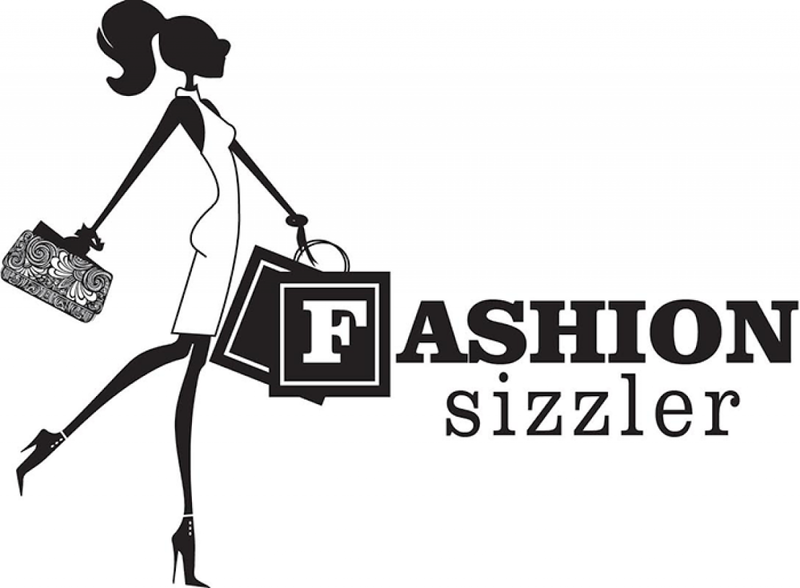 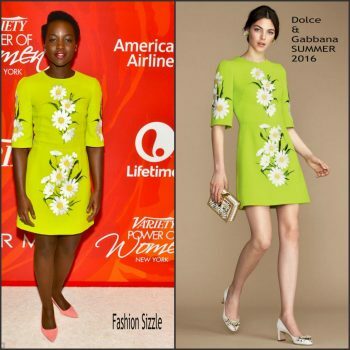 She wore a floral Dolce & Gabbana embroidered dress styled with hot-pink pumps . 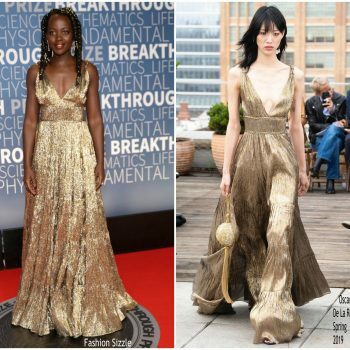 Lupita Nyong’o attended the Chopard Secret Night party during the 2018 Cannes Film Festival She wore a pink Prada gown styled with Chopard jewelry. 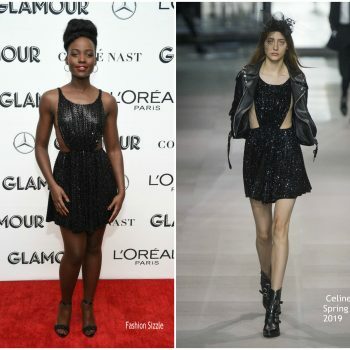 Lupita Nyong'o wore a Miu Miu black cutout halter dress to the 355 Movie Photocall during the 2018 Cannes Film Festival. 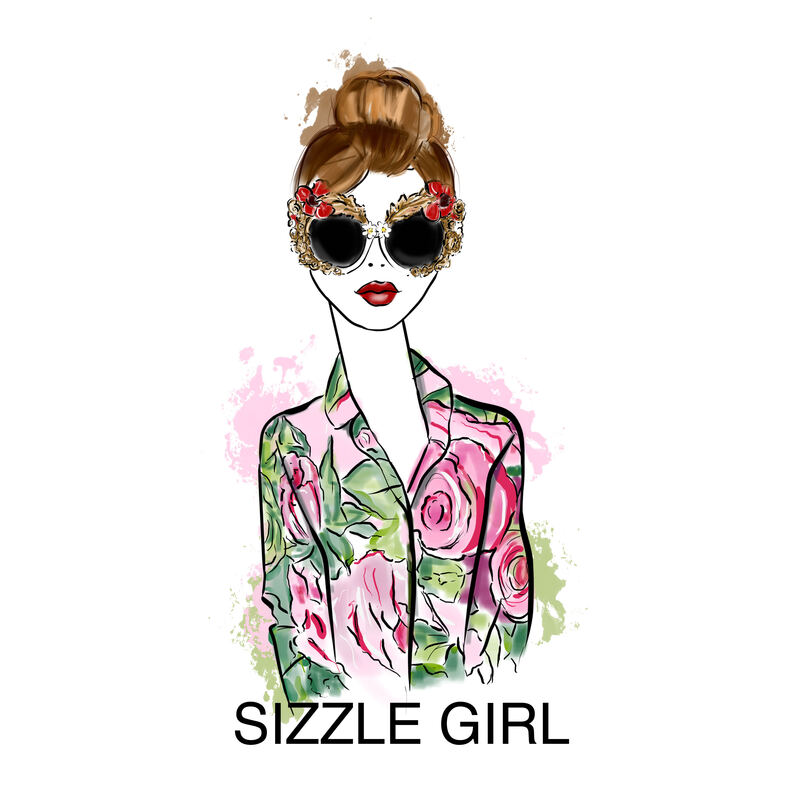 She's also wearing Fendi forest-green sunglasses. 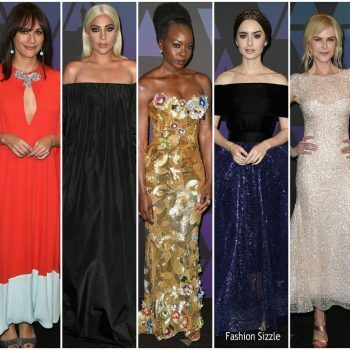 Actresses Fan Bingbing, Marion Cotillard, Jessica Chastain, Penelope Cruz and Lupita Nyong'o attend the photocall for "355" during the 71st annual Cannes Film Festival at Majestic Beach Pier on May 10, 2018 in Cannes, France. 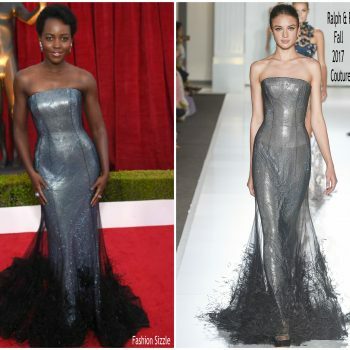 Lupita Nyong'o in Ronald van der Kemp @ the Essence 11th Annual Black Women In Hollywood Awards Gala She is wearing a Ronald Van Der Kemp Fall 2017 Couture dress. 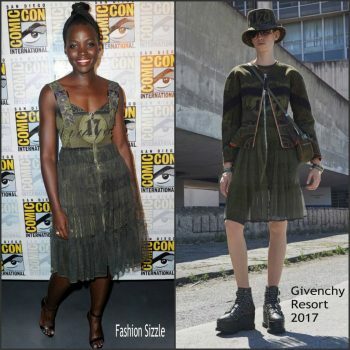 Lupita Nyong'o wore a Narciso Rodriguez Spring 2018 terracotta & black lightweight wool twill dress while promoting Black Panther in Johannesburg, South Africa. 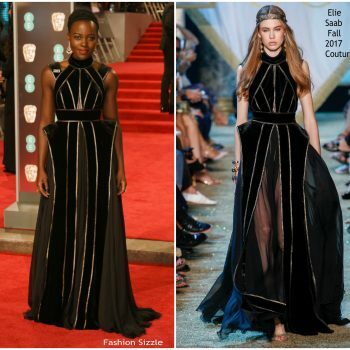 Lupita Nyong'o attended the 2018 BAFTAs on Sunday (February 18) in London, England. 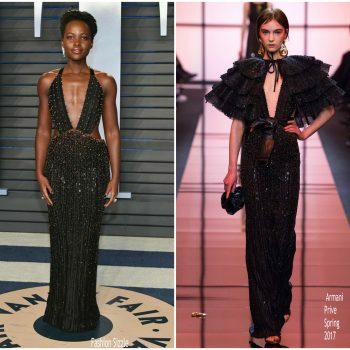 She wore an Elie Saab Fall 2017 Haute Couture black halter gown with velvet + gold plated piping. 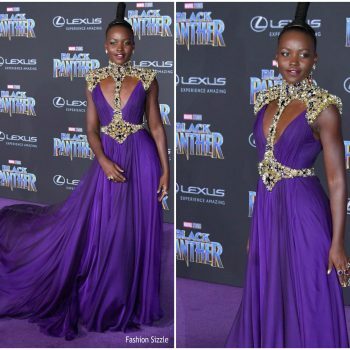 Lupita Nyong’o and the cast of ‘Black Panther’ attended the ‘Black Panther’ Seoul Press Conference in Seoul today (February 5). 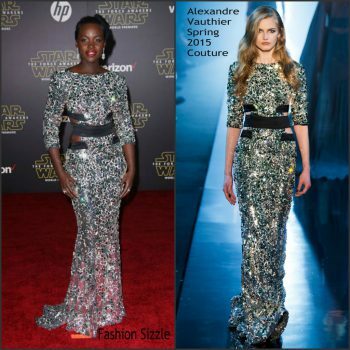 She wore a black and gold Elie Saab lurex sweater and matching pleated skirt . 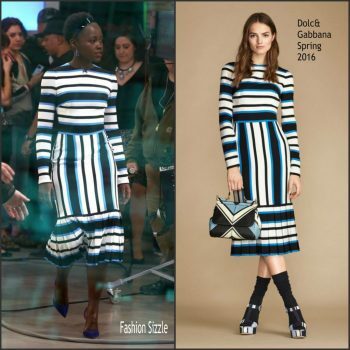 Lupita Nyong'o attend the Marvel Studios' BLACK PANTHER Global Junket Press Conference on January 30, 2018 at Montage Beverly Hills in Beverly Hills, California. 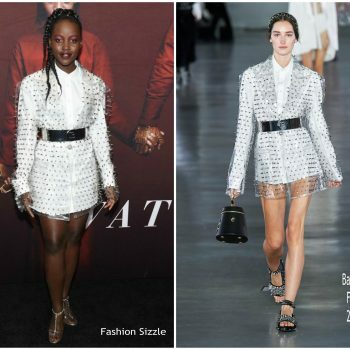 She wore a Mary Katrantzou Spring 2018 embellished fit-and-flare dress . 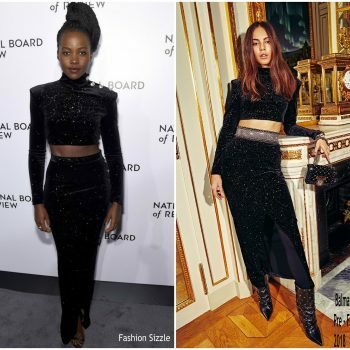 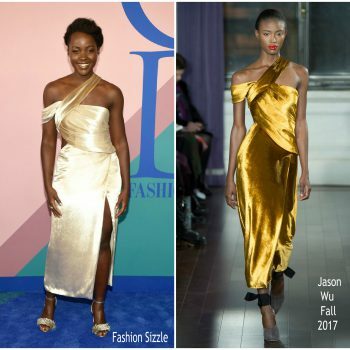 Lupita Nyong'o attended the 2018 National Board of Review Awards Gala She wore a two-piece Balmain Pre-Fall 2018 outfit . 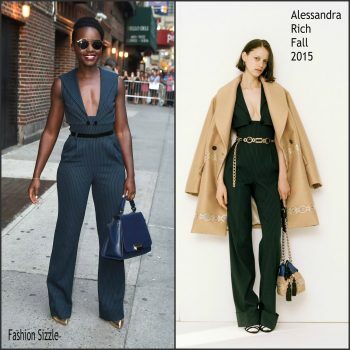 She styled her look with Dana Rebecca Designs "Lauren Joy" medium stud earrings. 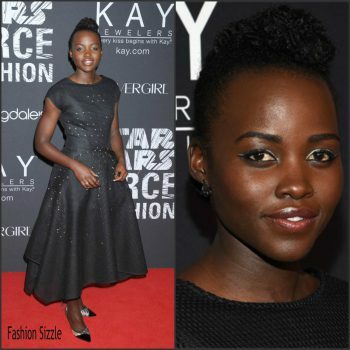 Lupita Nyong'o attended the premiere of Star Wars: The Last Jedi on Saturday night (December 9) at the Shrine Auditorium in Los Angeles. 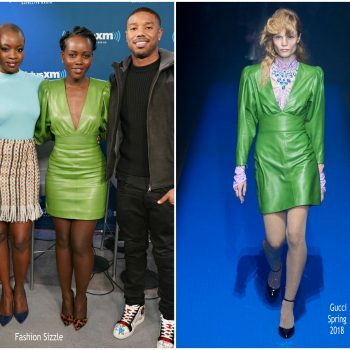 She wore a Halpern Spring 2018 emerald sequin embellished dress​​. 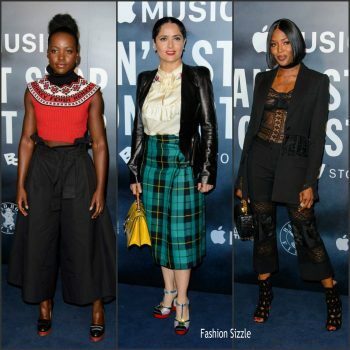 Lupita Nyong'o, Salma Hayek , and Naomi Campbell were in attendance at the London Screening of "Can't Stop, Won't Stop: A Bad Boy Story" at The Curzon Mayfair on May 16, 2017 in London, England. 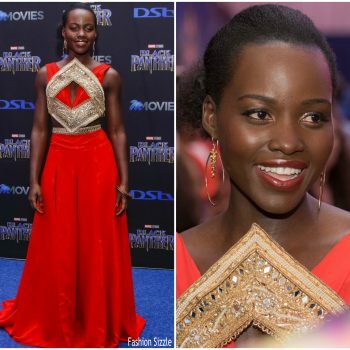 Lupita Nyong'o attended the 2016 Governors Awards on Saturday (November 12) at the Ray Dolby Ballroom in Hollywood. 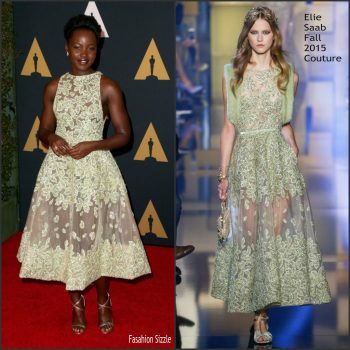 She wore an ElieSaab Fall 2015 Couture pale green leaf motif embellished dress. 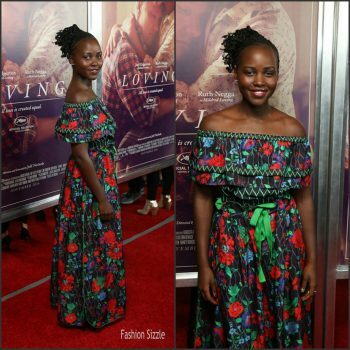 Lupita Nyong’o attends the premiere of ‘Loving’ at Landmark Sunshine Theater in New York City. 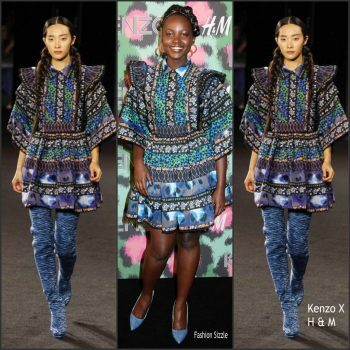 She is wearing a Kenzo x H&M Collection Ensemble Featuring an Off-The-Shoulder Floral Ruffle Top and Matching Wide-Leg Pants. 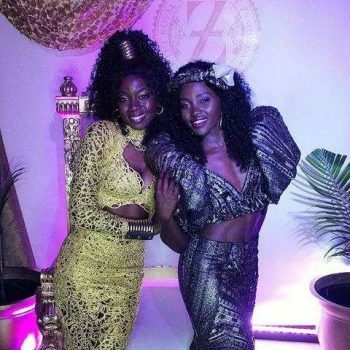 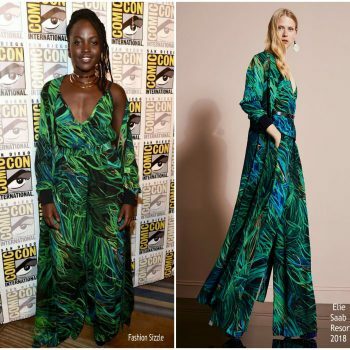 Lupita Nyong’o, was in attendance along with Danai Gurira, Chadwick Boseman, and Chadwick Boseman at the panel for Black Panther during 2016 Comic-Con on Saturday (July 23) in San Diego, Calif.
Lupita Nyong'o azttended the Tony Awards After party. 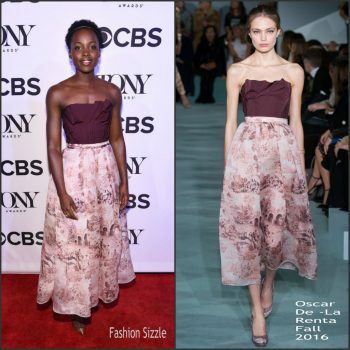 Actress Lupita Nyong'o attends the 70th Annual Tony Awards at The Beacon Theatre on June 12, 2016 in New York City. 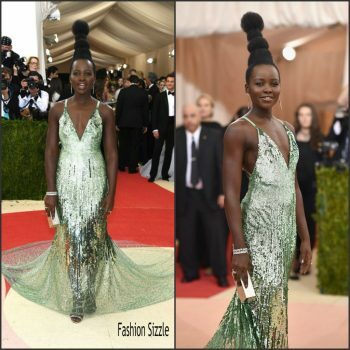 Lupita Nyong'o attended the 2016 MET Gala, Manus X Machina-Fashion in an Age of Technology at the Metropolitan Museum of Art in New York on May 2, 2016. 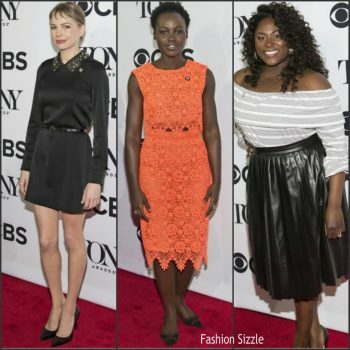 Lupita Nyong'o , Michelle Williams along with Danielle Brooks attended the 2016 Tony Awards Meet The Nominees press conference at the Paramount Hotel in New York. 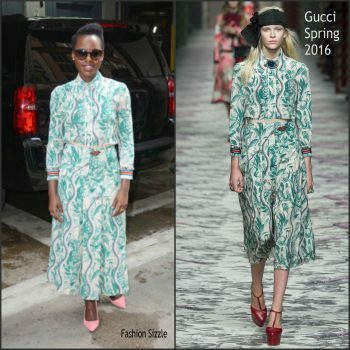 Lupita Nyong'o made a guest appearance at ABC Studios for an appearance on Good Morning in New York. 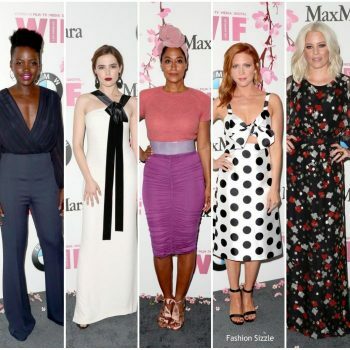 Lupita Nyong'o atttended the Variety`s Power of Women: New York event which was presented by Lifetime this afternoon at Cipriani 42nd Street. 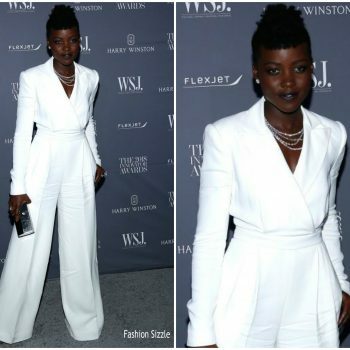 Lupita Nyong'o attended the 'The Jungle Book' LA Premiere at the El Capitan Theatre in Hollywood, CA. 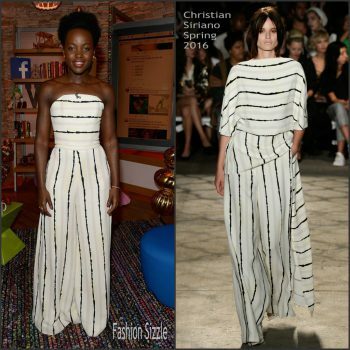 Lupita Nyong’o made a guest appearance on the Today Show on Wednesday, February 3, 2016 in New York. 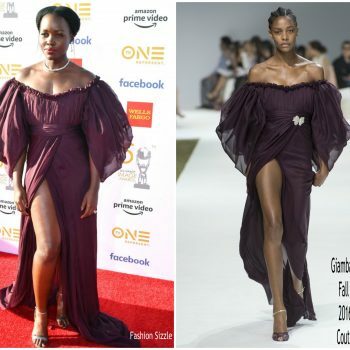 She is wearing a sleeveless grape cutout wool-crepe dress the has cut-out from Michael Kors Collection . 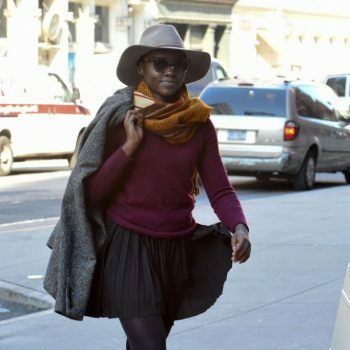 Lupita Nyong’o spotted arriving for a matinee performance of “Eclipsed” at the Public Theater in NYC.